I’m often asked for product recommendations for homemakers, so I thought I’d make a page just for that purpose! Everything on this page is something I personally use (or have used in the past) and can recommend. 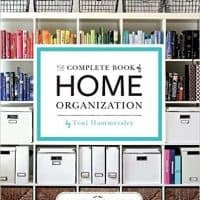 If you’re looking for homemaking resources, this section is just for you! These are some of my favorite tools. The links on this page are affiliate links. Read my full disclosure here. The PowerSheets Intentional Goal Planner has pretty much changed my life! I’ve accomplished so much more than ever before since I started using this planner. I use this to plan out all the goals I have for my personal, home, and family life, and then I transfer these goals to my daily planner (below). Every month there are new pages to track your progress and update your goals. I love it! Read my review here, or check it out for yourself here. 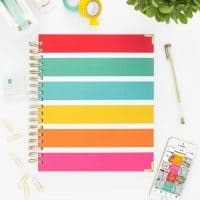 This is my everyday life planner, and it’s what’s keeping me organized through all of the busyness of managing a home. This planner is different than any other planner I’ve ever used before. It will not only help you keep track of your day, but it also helps you with goal planning and tracking, and each month has a budget section so you can keep up with your monthly budget right in your planner! 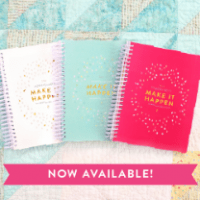 For more information, be sure to check out my Living Well Planner Review, or get your own here. 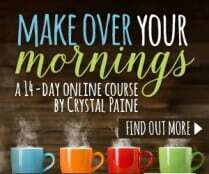 This 14-day course by Crystal Paine will help you get control of your schedule! It’s designed to help you revolutionize your productivity, streamline your routines, invest your time in things that truly matter, and find more joy and peace in the process. Get access to the course here. Read my review of this course here. My favorite natural cleaning supplies come from Grove Collaborative! Grove makes switching to natural products easy and affordable. 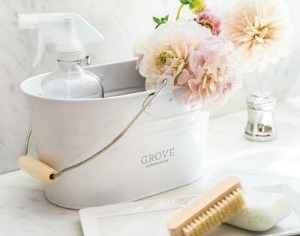 Click here to get your FREE Grove Cleaning kit! 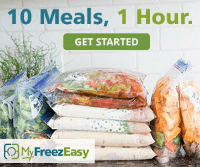 MyFreezEasy is the best freezer cooking plan I’ve ever seen. Each month you get access to a new set of recipes in each of these categories: gluten-free, traditional, slow cooker, clean eating, all chicken, all ground beef, all pork chops, and the 20 meals plan. You can also mix and match the recipes from different categories to create your own unique plan. Read my review here or check out all the details here! 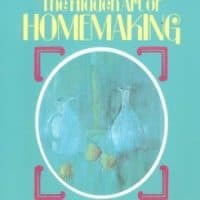 These are a few of my favorite homemaking books. I first read this book about 20 years ago as a young wife. 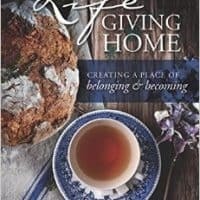 It isn’t a book of instruction on homemaking really, it’s more of an encouragement and inspiration to live a creative and beautiful life. I found it very inspiring! 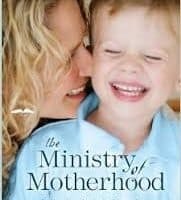 I’ve been reading Sally Clarkson’s books for almost my entire 17 years of motherhood, and I’ve never read one that I didn’t love! The Lifegiving Home is no exception. 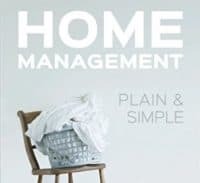 It’s a must-read for any homemaker. Just looking through this book inspires me to do some cleaning and organizing! It’s my go-to organization book now. I bought this book back when it was called Large Family Logistics (which is now out of print). A very practical and useful resource! These books have inspired me through my 18 years of motherhood. We’ve been homeschooling for 15 years now! Here are some of my favorite resources. 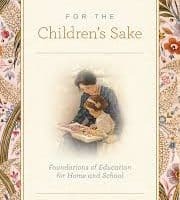 One of the first books I ever read on homeschooling. One of the first homeschool convention purchases I ever made—over 15 years ago! This is another classic homeschooling book that I picked up at our first homeschool convention 15 years ago. This is a refreshing read. This book is one of my new favorites. In my opinion, every home educating family should be a member! This is the planner that organizes everything we do in our homeschool. It’s the first planner I’ve ever loved enough to use consistently during a school year! Read my review here. P.S. 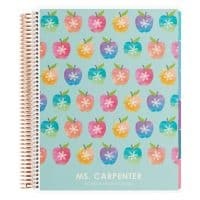 If you’re new to Erin Condren, you can get a $10 off coupon when you click through my referral link! Get cash back when you shop online! We’ve made several hundred dollars in the past year just by clicking through our Ebates link before shopping. Join Ebates here. This is one of my favorite online money-making tips ever (and we’ve been doing this for years). Use Swagbucks! All you have to do is use their search engine and you can easily earn Amazon gift cards every month! Sign up here.